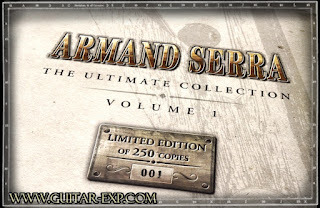 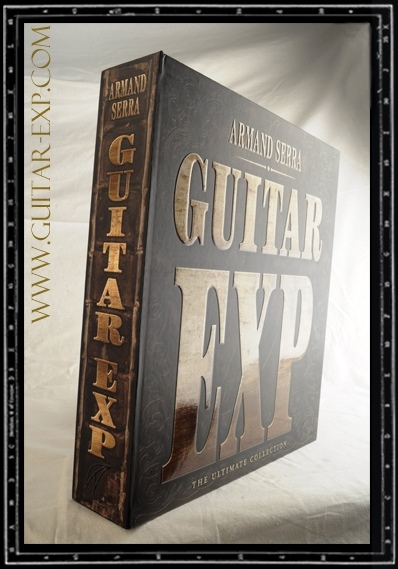 GUITAR EXP SUPER DE LUXE BOX SET. Limited Edition of only 250 numbered copies. 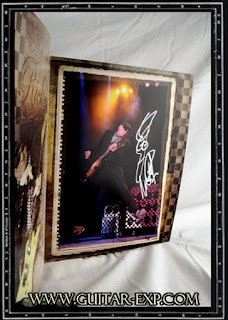 Each box set has a matching serial number inside each of volume as well as on the protective box printed with GUITAR EXP logos and emblems. Volume one has gold edging and gold colour page marker, Volume two has silver edging and matching ribbon. Armand’s Zig Zag logo printed in high gloss varnish on all end pages. 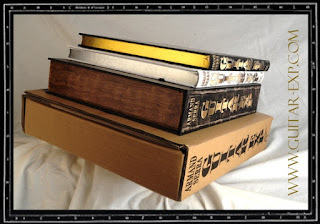 Limited editions or rare coffee table books...... 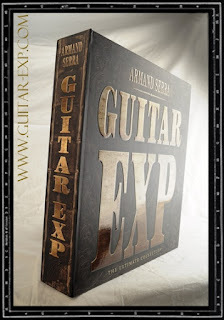 GUITAR EXP ticks all these boxes. 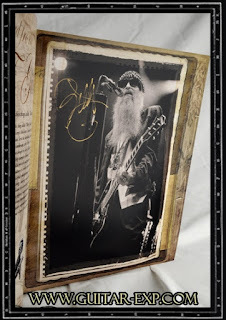 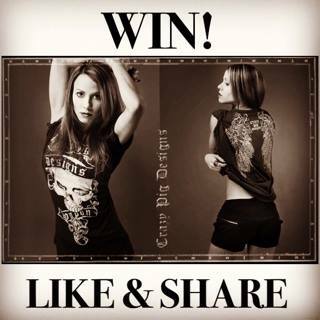 Only 250 copies available..Please see link below.